Wow, did I think I'd ever see another full Sleep album in my lifetime? No...especially if you'd asked a decade ago. 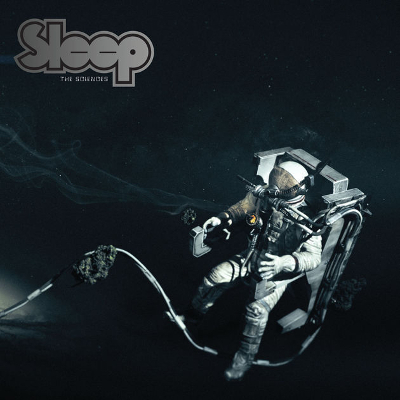 Well, 15 years after the last Sleep album, let's see what we've got here...The first track greets us with some spacey Matt Pike feedback, before we get down to the nitty-gritty with 'Marijuanaut's Theme', which is truly worthy of being on a Sleep album. The intro to 'Giza Butler' is a slower, spaced-out trippy ride, before heading into a heavy grooving memorable riff. 'Antarcticans Thawed' is another classic Sleep album-worthy slab of doom at over 14 minutes long, complete with ringing guitar sustain, and mammoth-riffery for miles. An album version of 'Sonic Titan' is nothing to sneeze at, followed by some feedback and toggle-switching interlude-ness (title track), before ending on an epic mellow but heavy, chill number 'The Botanist'.